A single colour design, hand screen printed on a fitted 100% cotton black T-shirt. 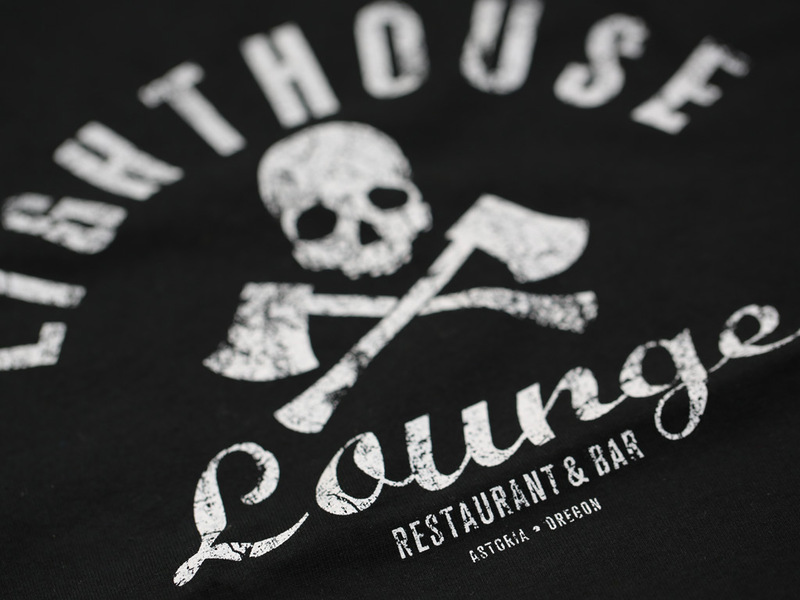 Inspired by the fictional derelict restaurant featured in the 1985 film, The Goonies. This American adventure comedy was directed by Richard Donner and stars Sean Astin, Josh Brolin, Jeff Cohen, Kerri Green, Martha Plimpton and Corey Feldman.